Sign up and receive Property Email Alerts of Flats for sale in Parow East, Parow. Calling all investors, we would like to introduce you to this brilliant investment opportunity in sought after Parow East. This spacious 1 bedroom, 1 bathroom provides the ideal opportunity for any savvy investor looking to purchase or first time buyer wanting to get a foot into the ever-growing Cape Town property market. Offering fantastic rental income of R 4800 per month, this apartment comes tenanted until the end of the year. The apartment conveys a very light and spacious feel in both the lounge and bedroom (with built in cupboards). The bedroom and lounge both offer spectacular views of the iconic Table Mountain and Lions Head. The bathroom comes with the benefit of a shower and bath. There is also the option of renting secure, off street parking at R300 per month. 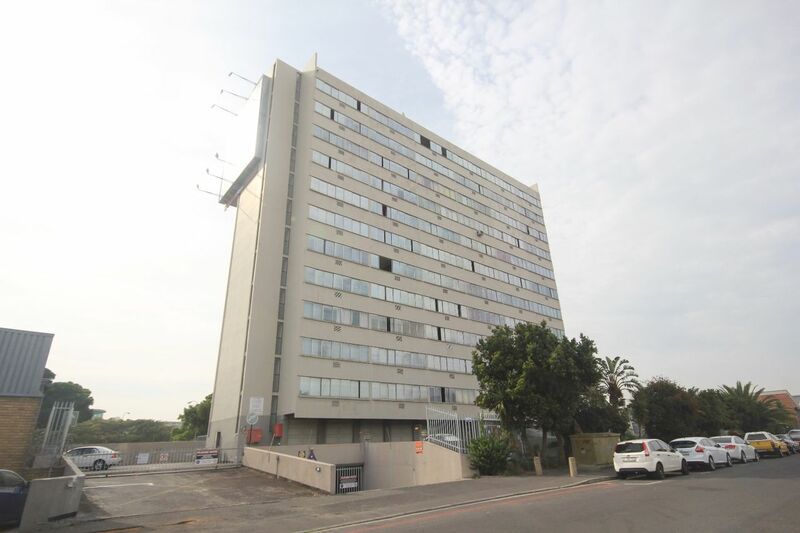 The block itself is ideally situated just off Voortrekker Road being close in proximity to some of Goodwood’s trendy restuarants, bars and amenities with quick access to the City Bowl or Southern Suburbs via the N2. Sign-up and receive Property Email Alerts of Flats for sale in Parow East, Parow.